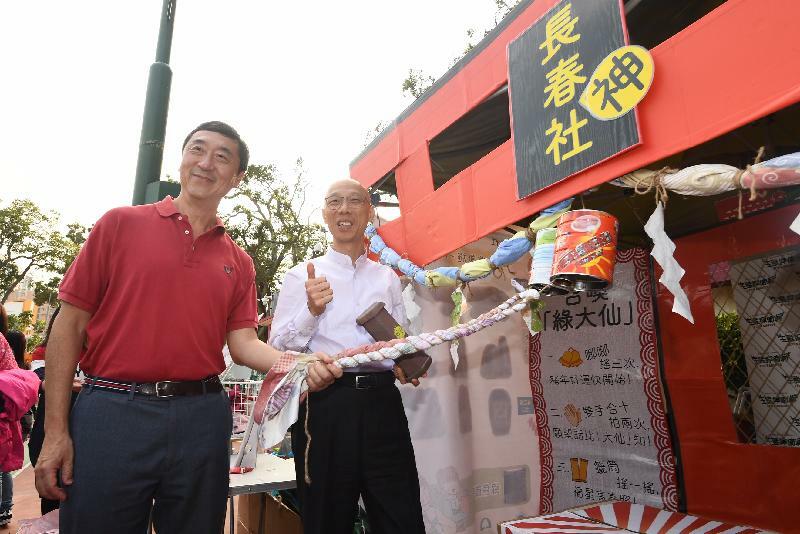 The Secretary for the Environment, Mr Wong Kam-sing, and the Chairman of the Environmental Campaign Committee (ECC), Professor Joseph Sung, today (January 31) visited the Green Lunar New Year (LNY) Fair at Fa Hui Park on Boundary Street with members of the ECC and its Publicity Working Group. They called on stall operators and members of the public to support green initiatives by cherishing resources and reducing waste during festive celebrations. The Fa Hui Park Green LNY Fair is jointly being held by the ECC, the Environmental Protection Department (EPD) and the Conservancy Association. A publicity and educational corner has been set up to promote green messages for the LNY and distribute reusable red packets. Green shopping bag sharing stands have also been set up in the fair for members of the public to donate or pick up reusable shopping bags so as to reduce the use of disposable plastic bags. Green Ambassadors are deployed on-site to coach the public and stall operators on how to practise proper waste separation and clean recycling. A number of stall operators have already signed the "green stall pledge" to show their commitment to implementing green measures, including waste reduction at source, recycling and resource sharing. Reusable tableware lending services are also available at the fair to encourage members of the public to go plastic-and-disposable-free, and reduce the use of disposable tableware. 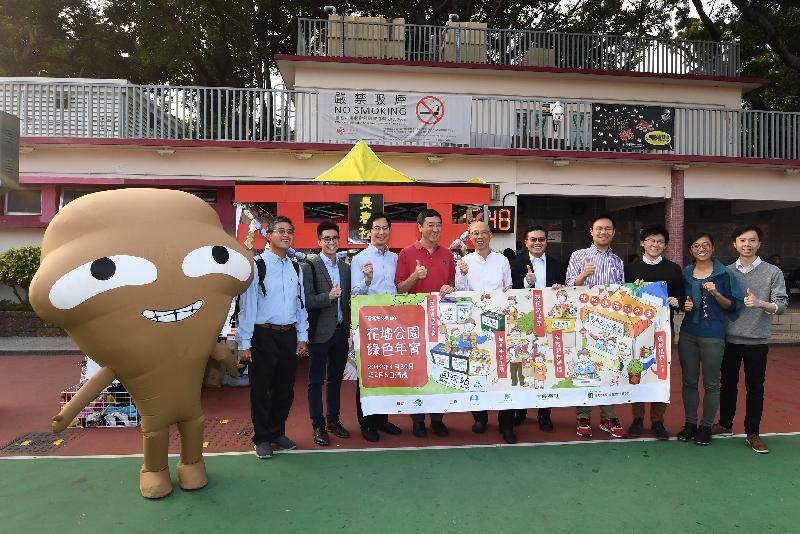 In addition to Fa Hui Park, the ECC and the EPD have also extended the Green LNY Fair programmes to all LNY fair venues across the territory. Apart from waste paper, plastic and metal, a number of new recyclable items have been added in this year’s LNY fairs including food waste, yard waste and polyfoam. These items will be collected and recycled by contractors appointed by the EPD. A resource-sharing station has also been set up to collect unsold goods and leftover materials (such as canvas, tents, tables and chairs, shelves, sandbags and new year decorations) from stall operators for on-site distribution or redistribution to others after the LNY fairs. Bamboo sticks and wooden pallets generated by fair stalls will also be properly collected for recycling or delivered to collaborating NGOs for upcycling programmes. The ECC and EPD hope that the above measures will reduce the amount of waste generated by LNY fairs through a multi-pronged approach. 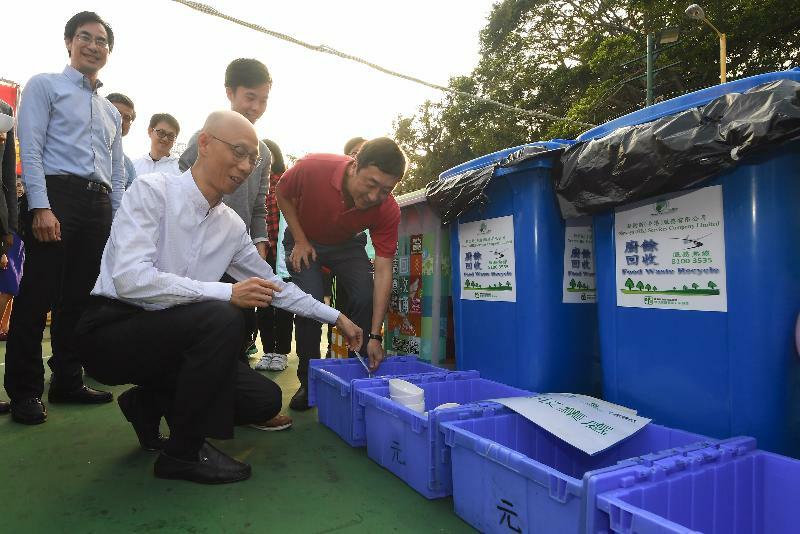 Mr Wong said that by setting up sharing platforms and a well-established recycling network, the Green LNY Fairs will publicise the message of waste reduction and reuse, and it is hoped that the concept of Green New Year will penetrate into every corner of the community. 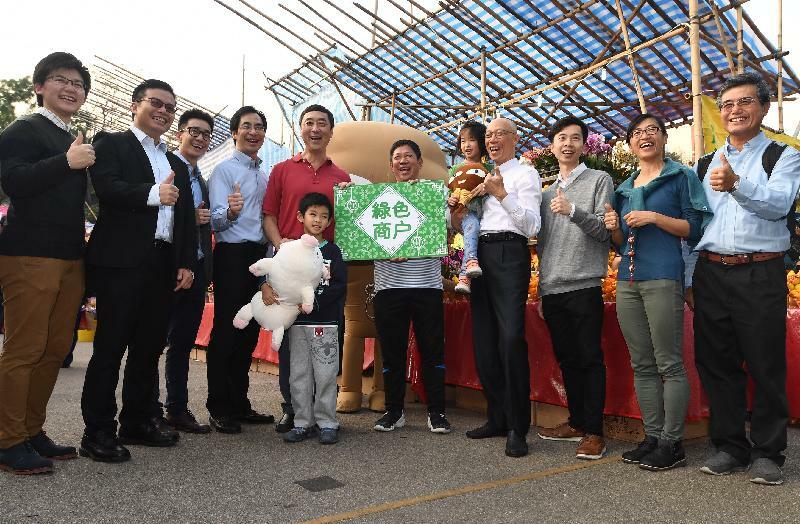 He also reminded and encouraged members of the public to bring "green to-go items" (namely water bottle, food container, reusable cutlery, handkerchief and reusable shopping bag) when visiting the LNY fairs to avoid using disposable items and reduce waste at source. He also urged the public to practise clean recycling for better recovery of resources. 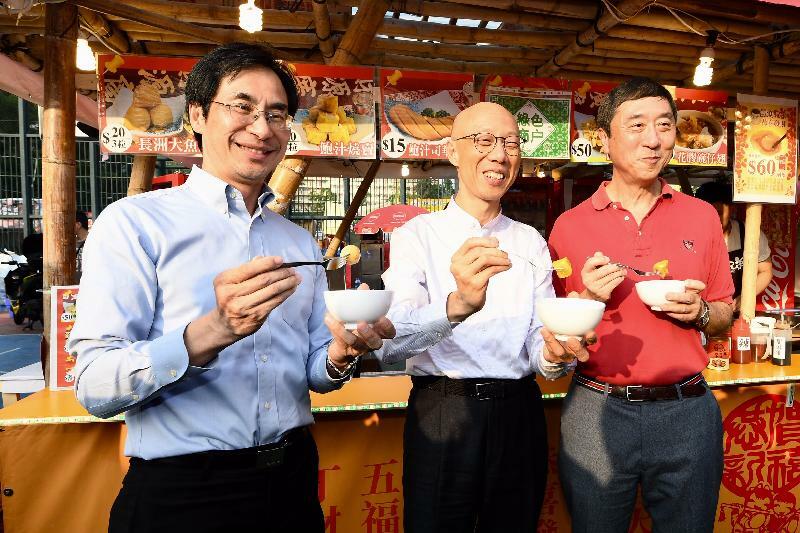 Professor Sung said he hopes that stall operators and the general public will support the Green LNY Fairs by avoiding the production of unnecessary waste and building up a culture of waste reduction. He added that he would also like the ECC to inspire other event organisers to incorporate more green elements in their events to further promote waste reduction and help build a greener Hong Kong together.